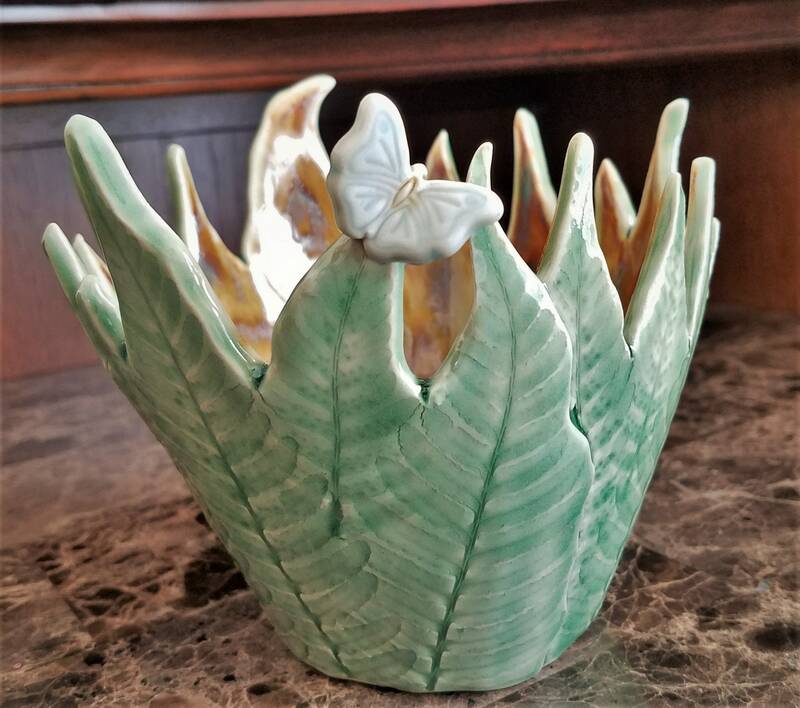 Add a touch of nature to any room in your home with my handcrafted fern and butterfly pottery vase. 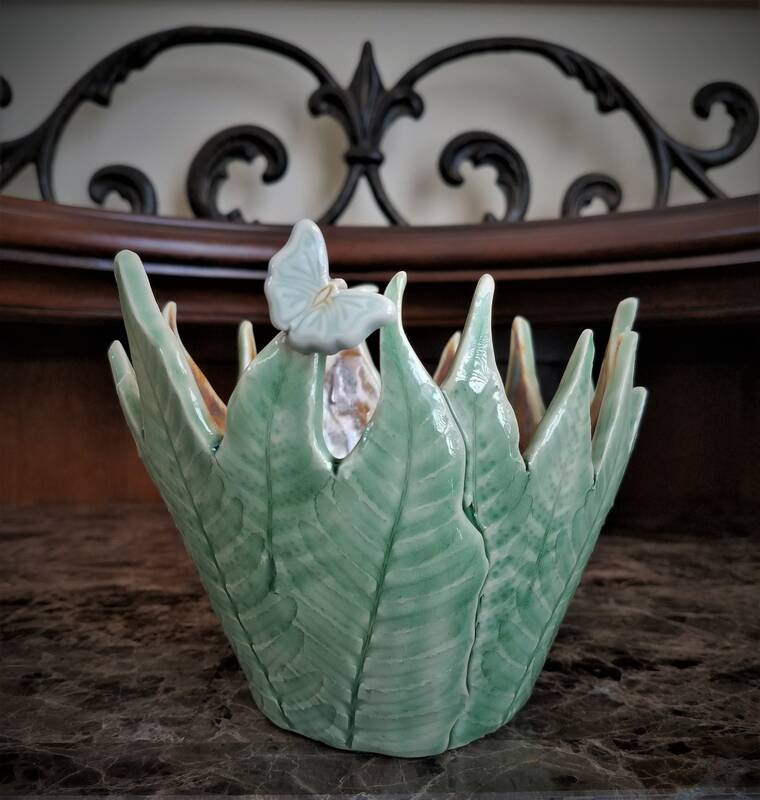 I created this vessel using stoneware clay and fern fronds from my garden. Display it on a living room coffee table filled with potpourri. 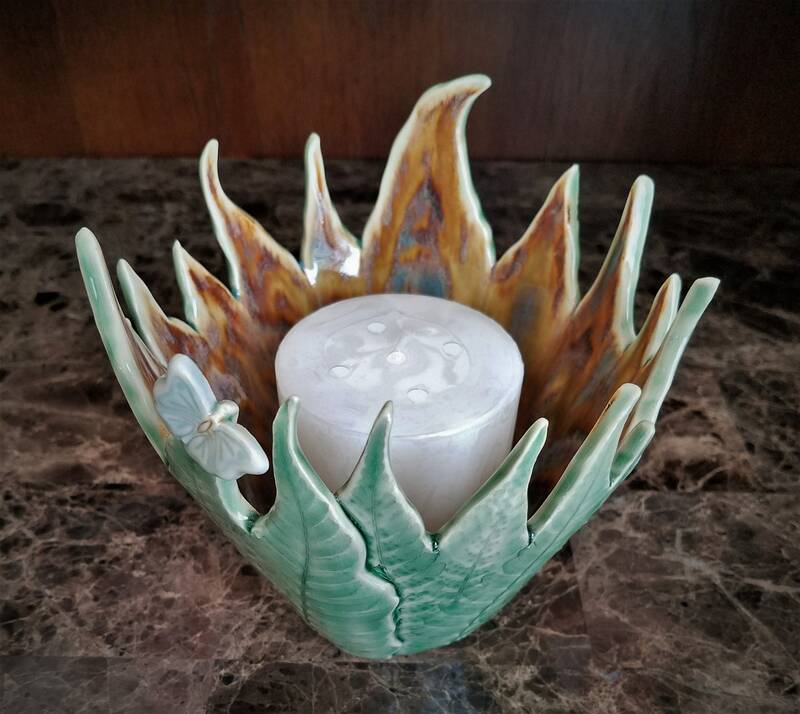 Place a votive or 2.5" candle inside and use it as a candle holder to create a cozy atmosphere. 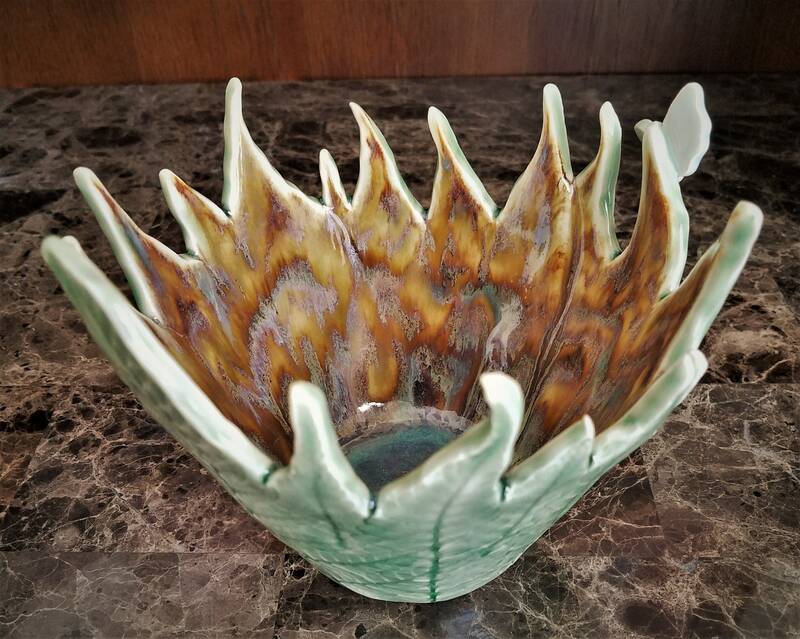 This vessel would look wonderful on a bedside table, and could even be used as a jewelry dish. 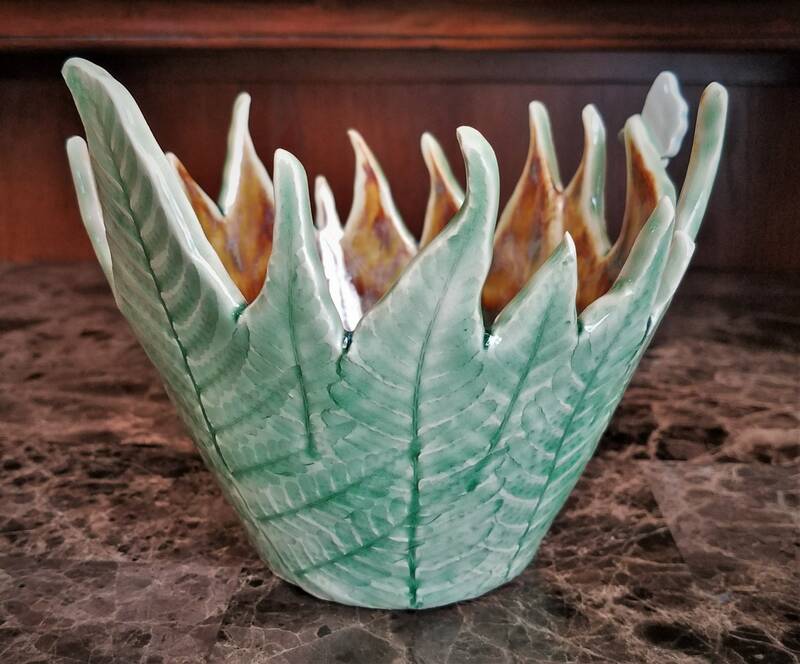 To create these vessels, I roll each fern frond into stoneware clay slabs, then intricately cut and assemble into vase or bowl shapes. Hand glazing with various colors and application processes produce an visually pleasing flow of color on the inside. 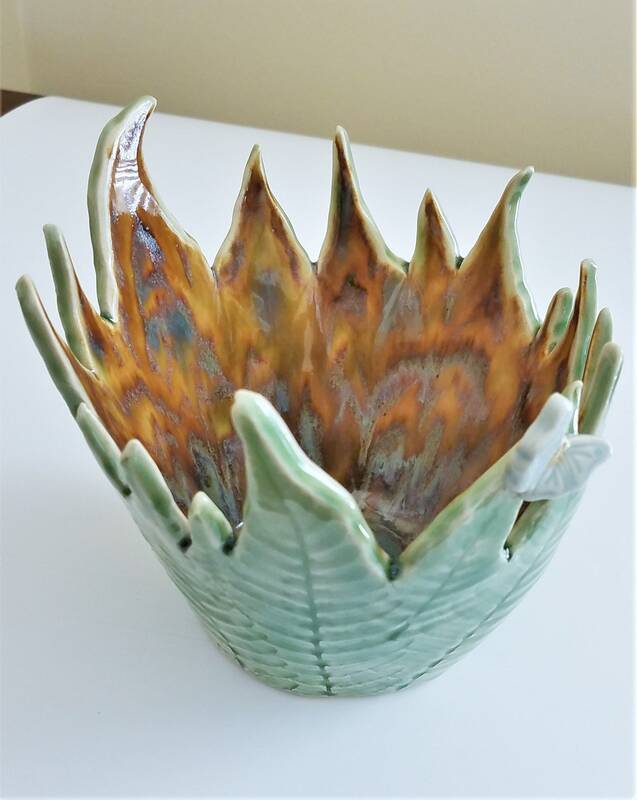 The outside of the vessel was glazed in light green. 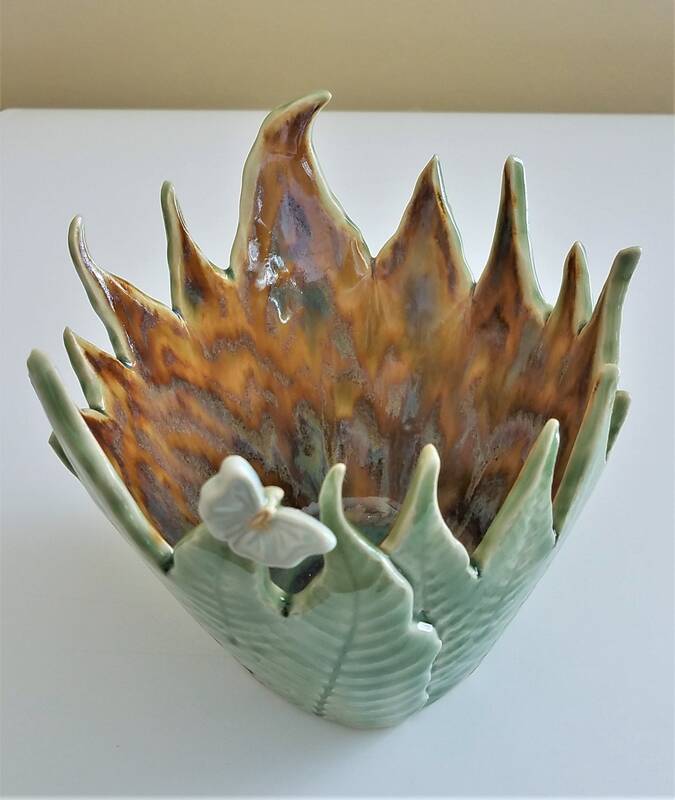 My fern vessels make a wonderful Holiday gift for a nature lover, fern lover or fine art lover! This piece of artwork would also make an unforgettable anniversary or milestone birthday gift. 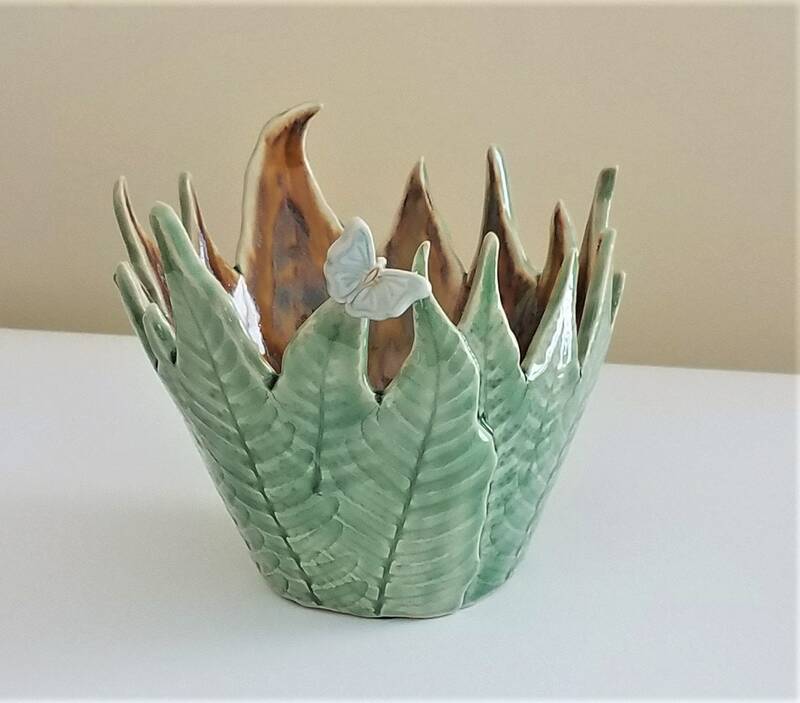 Each fern leaf pottery vessel I create is unique and no two are ever alike. My customers love them so much that I really have to work hard to keep them in stock! 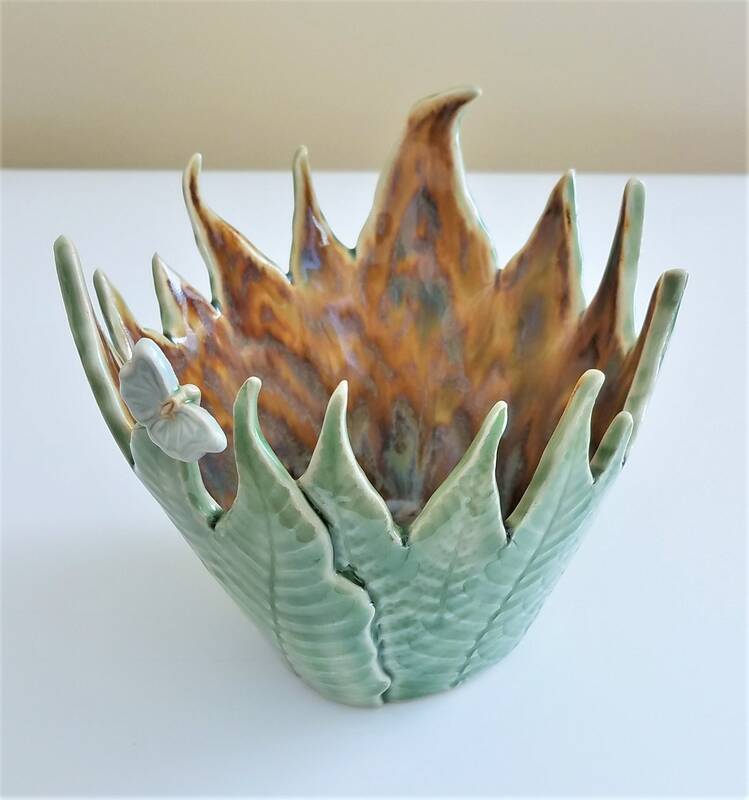 It takes several weeks to produce even one fern vessel from start to finish. Each one is it's own special work of art. 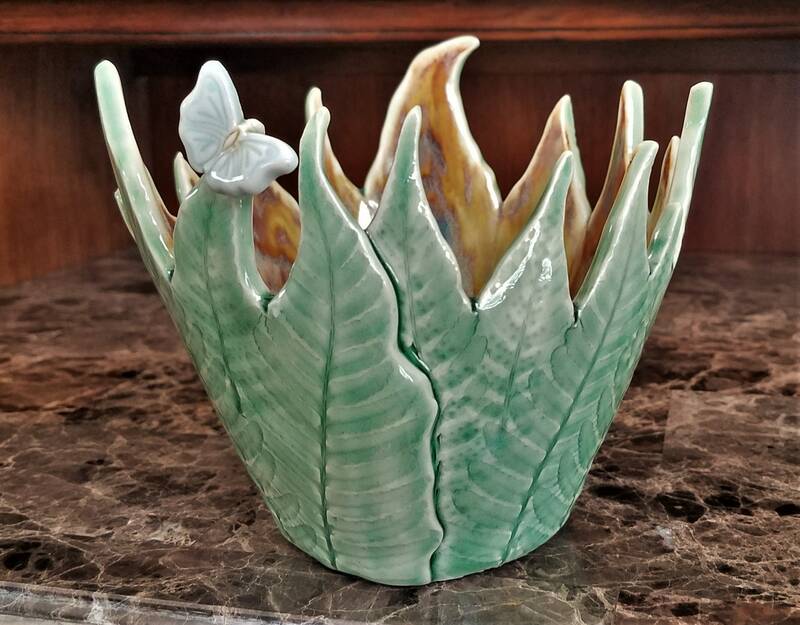 My fern vessels are kiln-fired to cone 5. They are a decorative piece of art only, and are not intended to be used to serve or hold food.